Gorgeous Greenfield home is located on an amazing lot in a hard to find and highly sought after cul-de-sac location. Featuring 5 bedrooms, 5 baths, main floor living room, family room, formal dining, study/office (could be a bedroom), kitchen, lower level family room, wet bar, bedroom & a 4 car garage. Custom plantation shutters can be found throughout the main level and master suite. Perfect for entertaining inside and out. The central AC (1 yr old), energy efficient furnace (1 yr old), 2 fireplaces, ceiling fans & whole house humidifier keep this home comfortable all year long. Enjoy warm summer evenings from the 2-level deck, pergola or gardening in the spacious back yard. Pride of ownership shines throughout this beautiful home. 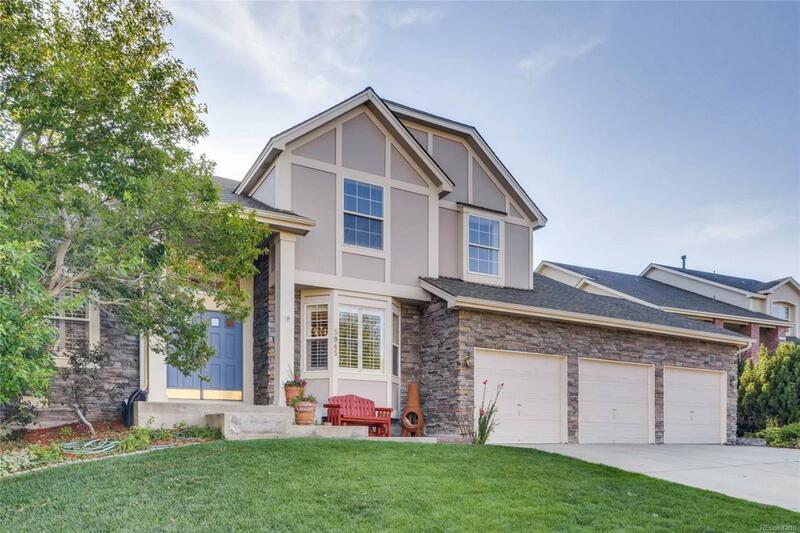 Close to dining, shopping, entertainment and located in the Cherry Creek School District. A short commute to Lone Tree, Centennial, DTC, Aurora and beyond. This home just needs you to call it yours. Dont wait it wont last. Welcome home!